If you have a laptop, I am sure you face this all the time. You need to extend your battery life so you can squeeze a report out or finish a paper. There are no plugs around and you didn’t bring your cable. At the same time your battery is dying. So how can you extend your battery life for your laptop? These few simple tricks which work well for my laptop to extend my battery for hours. Again I am emphasizing simple. They are not technical and simple to use. I am giving examples in Window 7. 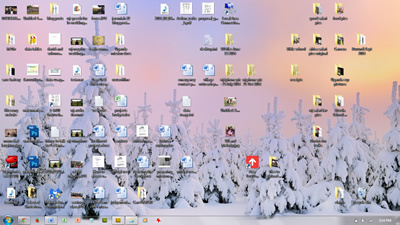 But the same principal can be applied whether you have a Mac or using Windows 8. First, shut off Bluetooth and even wireless to save power. If you are accessing the Internet on wireless, then you have to keep your wireless network on. However, if you never use Bluetooth devices for your laptop, then you can disable it to save some juice. 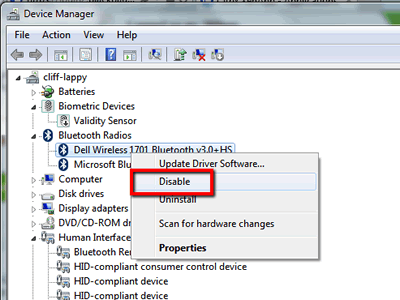 Disabling Bluetooth will require you to access Device Manager in Control Panel. 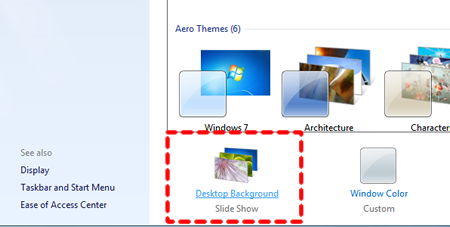 Click on Start button and type Device Manager. Then select Device Manager on the search results. If you look under Bluetooth, you will see there’s a Bluetooth radio. The name you see on your computer might be different from mine. Right click on in and select Disable. It will asks you to confirm. Click Yes. 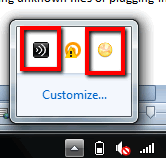 After disabling Bluetooth, in Device Manager that the icon is changed and now has a down arrow symbol. If you ever need to access Bluetooth again, just right click on it and select Enable. If you can use a cable to access the Internet, use it and disable the Wireless network. Or if you don’t need the Internet, you can disable the Wireless network. 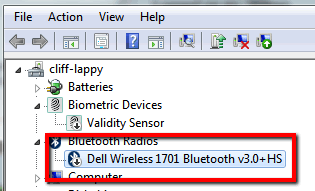 On my Dell Vistro 3350, I can disable the wireless by clicking on Fn (Function) and F2 keys. Your laptop screen consumes a lot of power. By dimming and lowering the contrast, it will save some battery power. Do note that if you are working outdoor, it is hard to dim your screen. But if you can, set it to the lowest possible. On my Vostro 3350, I can lower the screen of my laptop by clicking Fn + F4. If you are not using it, you can mute the speakers. If I wanted to listen to music, I will use my phone instead. You can tell your speakers are disabled by this icon. On my Vostro 3350, there’s a key to disable speakers (next to the F12 key). There should be a similar key on your laptop. Use as little programs as possible. If you have Skype, you can turn it off. 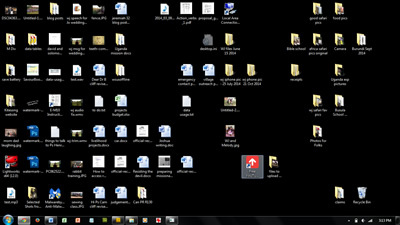 Look at your hidden icons and check if there are any programs that are running in the background. 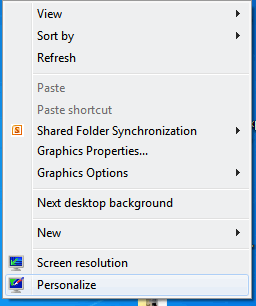 On my computer, I noticed that I haveand Citrix Receiver running in the background. I can turn those off to save even more battery. 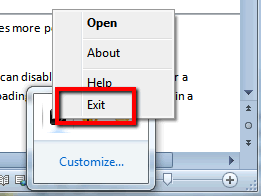 To close these programs, simply right click on the icon and select Exit. A bright background consumes more power since it requires more light. You can set the background to black to save effective. An example of a bright background. My background is completely black. Black doesn’t require power. I changed my background to completely black. 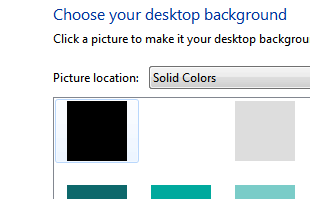 To change background in Window 7 to pure black, right click on and select Personalize. In the pull down menu, select Solid Colors. Select Black and click on Save Changes. So how effective are these tips? Well, on my laptop, I can easily run 4-5 hours without a charge. My wife and I tend to work at café a lot of time. In many cases, it saves me from bringing my charging unit and hunting for an outlet. As you can see, extending the life of your laptop battery is not a hard thing to do. Follow these few tips will make your laptop battery last a long way. I used to think the darker background thing helped to reduce power consumption, but it turns out that it’s not quite “black and white”. If the screen is a conventional LCD screen, it doesn’t make a difference. The backlight lights up the entire screen, and to make the screen dark, the liquid crystals (the “LC” in “LCD”) are electrically aligned to block out the light to make it dark. So the backlight is still pumping out light for the whole screen even if the background is dark because you have icons that aren’t dark there. However, if the screen is an AMOLED screen, then it *does* make a difference. With an AMOLED screen, every pixel itself is adjusted in terms of brightness and the screen does not depend on a single, uniform backlight. In this case, only those pixels that are bright (or non-black) are using up power. Because most screens are still regular LCD (even things like iPhones and iPads), the best thing to do screen-wise to save power is to dim the screen. Thanks for the explanation how LCD works. Too bad they can’t simply shut off the power behind the pixels that are black.